3 Spiritual Tools for the Best New Year Ever! Looking forward to the New Year? Don’t just make a wish, or a New Year’s resolution that things will be better. 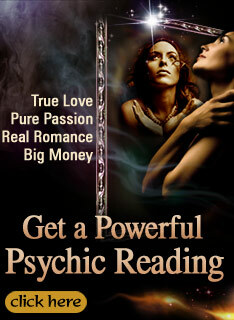 Now is the perfect time to access powerful spiritual tools that people have counted on, to help make this 2012 the best year ever! What’s the benefit to using spiritual tools to improve your life? You can make changes in other ways, say start running or taking Pilates to get in shape or lose weight. But when you access spiritual tools to help you make the change, you are changing with your whole body. You aren’t just changing your physical body, but you are also making the changes on a deeper, spiritual level. These changes can’t help but impact other areas of your life, as they are all connected. Your spiritual self is profound and will help you physically, emotionally, mentally and spiritually. Best of all, you may be surprised to find that making changes using spiritual tools can make them easier, sometimes nearly effortlessly. You are inviting the right people, circumstances, and situations into your life to help support you to making these changes. And as you can see, that’s a lot more effective than just wishing, “I want to lose 20 lbs!” . The Law of Attraction. Many have heard of the Law of Attraction, but they aren’t completely sure what it means. The simplest answer is that “like attracts like.” You will attract to you what you are. The power of belief is important, believing that you can achieve or have what you desire is in some ways half of the way to getting there. Start by deciding that you deserve to have what you want, welcome it into your life. Then think how a person would act if they had what you desire. “What would a person do if they had lost 20lbs?” Well that person would probably go to the gym, eat healthy foods, and stay active. Creative Visualization. This has been a popular spiritual tool for a long time, and has even been used by successful athletes and others! Shakti Gawain’s books talk about Creative Visualization and how you can create what you desire, simply by envisioning it. Some might think of this as “daydreaming” but it’s actually a little more active – you want to control what you see in some ways. Let’s say you’d like a new home. Find a quiet spot, sit down and envision your perfect home for your family. Envision it in as much detail as you can, the flowers in the yard, your children playing on the swing set. Creative visualization is effective for many people, as most of us are very visual and “seeing” something as we desire helps us to imagine what life would be like if it came true – and help bring it into our lives. Treasure Map. The treasure map is another very visual exercise to show you what you desire. Treasure maps have become popular, shown in The Secret movie and book. To make a treasure map is quite easy; you’ll need some poster board or paper, magazine pictures or photos and glue or tape. Then get creative! Create a collage or choose one or two pictures that best represent what you’d like the future to be. If you’d like to start a family, choose magazine pictures of adorable children, babies, families and anything else that reminds you of this desired goal. Then hang your treasure map where you’ll see it everyday to help make your dreams come true!